The present invention relates to a process for the preparation of CGMP-phosphodiesterase inhibitor, particularly tadalafil, a method for production co-precipitate thereof and to solid oral pharmaceutical formulations comprising tadalafil co-precipitate. Tadalafil is marketed under the tradename CIALIS* and is used for the treatment of erectile dysfunction. The product is available as a film-coated tablet for oral administration containing 2.5, 5, 10 and 20 mg of active ingredient and the following inactive ingredients: lactose monohydrate, hydroxypropylcellulose, sodium lauryl sulfate, croscarmellose sodium, microcrystaliine cellulose, magnesium stearate, hypromellose, triacetin, titanium dioxide (E171), iron oxide (E172) and talc. Tadalafil is practically insoluble in water and very slightly soluble in organic solvent such as ethanol, methanol and acetone. Problems associated with low solubility of tadalafil in ethanol and most of other organic solvents resulted in the need of large quantities of solvents required to perform synthesis and crystallization of tadalafil at industrial scale, which have unwanted technological, environmental and economical impact. US Patent No. 5 859 006 describes the synthesis of the tadalafil and its intermediate (A) which involves reacting D-tryptophan methyl ester with a piperonal in the presence of dichloromethane and trifluoroacetic acid which provides a mixture of desired cis and undesired trans isomer of intermediate A with poor selectivity. The isomers are further separated by column chromatography. The cis isomer is further reacted with chloroacetyl chloride in chloroform, providing another intermediate of tadalafil (B) which reacted with methylamine to give tadalafil of formula (1) in methanol slurry requiring an additional purification step by flash chromatography. An improved process in the synthesis of tadalafil via modified Pictet-Spengler reaction is described in WO 04/011463 in which D-tryptophan methyl ester hydrochloride and piperonal are condensed in anhydrous isopropyl alcohol to provide hydrochloride of intermediate A. After isolation of desirable cis isomer, the product is further reacted with chloroacetyl chloride and then with methylamine in THF to give tadalafil. Therefore there still exists a need for an improved process for a synthesis and purification of tadalafil, which would overcome the disadvantages of the prior art processes. Low solubility of tadalafil in aqueous solutions is further disadvantageous because in vivo absorption is typically dissolution rate-limited which may result in poor bioavailability of the drug. Different approaches in the processes of preparation of pharmaceutical compositions have been applied to overcome the poor solubility. For example, EP 1 200 092 Bl describes a pharmaceutical composition of free drug particulate form of tadalafil wherein at least 90% of the particles have a particle size of less than about 40 μm as well as composition comprising tadalafil, wherein the compound is present as solid particles not embedded in polymeric co-precipitate. Apparently, preferably at least 90% of the particles have a particle size of less than 10 μm. 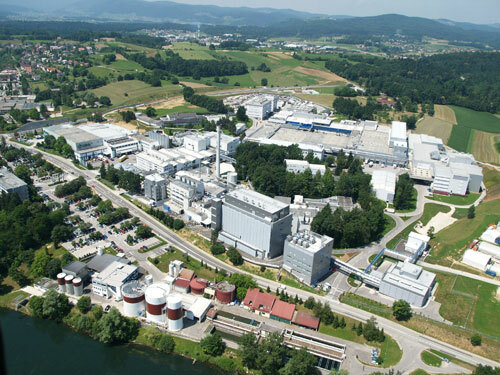 The technological drawback of such small particles is possible chargeability and secondary agglomeration due to increased surface energy which can cause problems during the micronization and further processing. WO 2008/134557 describes another approach to overcome the low-solubility problem by pharmaceutical composition comprising starch and tadalafil characterized by particle size having d(90) greater than 40 μm wherein the weight ratio of starch to tadalafil is 4.5 to 1 or greater. Apparently, the preferred ratio is at least 15 to 1. Yet another approach to overcome the low-solubility problem is to use a “co-precipitate” of tadalafil and a carrier or excipient. For example, EP 828 479 Bl describes a solvent based process wherein tadalafil and a carrier are co-precipitated with a medium in which the tadalafil and carrier are substantially insoluble. EP 828 479 describes a solvent based process wherein tadalafil and hydroxypropyl methylcellulose phthalate are co-precipitated in weakly acidic medium from a combination of non-aqueous water miscible solvent and water. However, pharmaceutical composition prepared according to EP 828479 exhibit deviations in release rate of tadalafil which was due to poor reproducibility of a process for preparation of co-precipitate. It was found that precipitation in acidic media causes unwanted degradation of hydroxypropyl methylcellulose phthalate and that precipitation at higher temperatures does not produce desired product. WO 2008/005039 also describes a solid composite including tadalafil being in intimate contact with a carrier. The carriers include hydrophilic polymers such as povidone, cellulose derivatives, polyethylene glycol and polymethacrylates. The compositions are prepared by combining tadalafil with hydrophilic polymer and removal of the solvent by evaporation. WO 2010/115886 describes an adsorbate comprising poorly soluble active ingredient with a particulate and/or porous carrier wherein the adsorbate is prepared by using non-polar solvent. Apparently, the solvents used are selected from the group of chlorinated hydrocarbon (dichloromethane or trichloromethane), diisopropylether and hexane, which is also the main drawback of this solution. 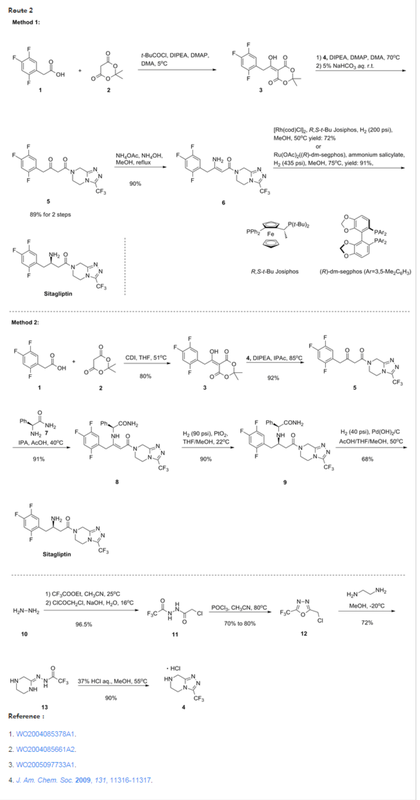 Co-precipitates of phosphodiesterase-5-inhibitor and copolymer of different acrylic acid derivatives are described in WO 2011/012217. The procedures described involve the use of tetrahydrofurane. Poor solubility can also be solved with co-crystals. WO 2010/099323 discloses crystalline molecular complexes of tadalafil with co-former selected from the group of a short to medium chain organic acids, alcohols and amines. 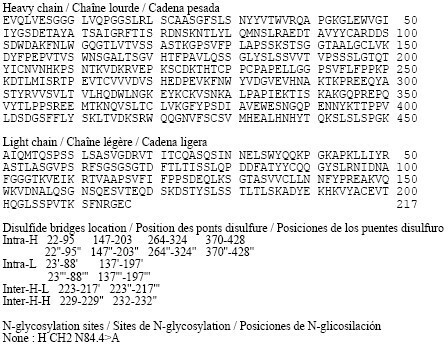 WO 2012/107541 and WO 2012/107092 disclose co-granulate of tadalafil with cyclodextrines. WO 2014/003677 discloses a pharmaceutical composition comprising solid dispersion particles containing tadalafil and a dispersing component, which composition further comprises a solubilizer. Based on the above, there is still a need for an improved dosage form containing tadalafil and improved technological process for the preparation thereof. The process for preparing tadalafil according to a preferred embodiment of the present invention is disclosed in Scheme 1. D-tryptophan methyl ester hydrochloride (9g) and piperonai (6g) was suspended in acetonitrile (60mL). The reaction mixture was stirred and heated at about 105*C for three to five hours in an autoclave. The reaction suspension was cooled to ambient temperature and aqueous solution (60m L) of sodium carbonate (4.1g) was added. The mixture was then cooled in an ice bath and the solution of chloroacetyl chloride (5.1mL) in acetonitrile was slowly added to the reaction mixture. A solid was obtained, filtered and washed twice with aqueous solution of acetonitrile. The crude product was dried, and intermediate B (13.4g) with a purity of 97% (HPLC area%) was obtained. D-tryptophan methyl ester hydrochloride (8.2kg) and piperonai (5.1kg) was suspended in acetonitrile (55L). The reaction mixture was stirred and heated at about to 105″C for three hours in the reactor vessel. The reaction suspension was cooled to ambient temperature and aqueous solution (55L) of sodium carbonate (4.8kg) was added. The mixture was then cooled in an ice bath and the solution of chloroacetyl chloride (5.2L) was slowly added to the reaction mixture at 5-10°C. A solid was obtained, centrifuged and washed twice with aqueous solution of acetonitrile (2x 121). The crude product was dried at temperature up to 50″C, and intermediate B (12.3kg) with a purity of 98% (HPLC area%) was obtained. D-tryptophan methyl ester hydrochloride (9.0g) and piperonai (5.84g) was suspended in acetonitrile (60mL). The reaction mixture was stirred and heated at about to 80-85’C for 15-20 hours in the reactor vessel. The reaction suspension was cooled to 0-10°C. The Intermediate A was then isolated on centrifuge and was dried at temperature up to 60°C. The isolated dried Intermediate A (12,8g) was charged into reactor and suspended with ethyl acetate. The aqueous solution (60mL) of sodium carbonate (5.3g) was added to precooied suspension of Intermediate A. The chloroacetyl chloride (3.4mL) was slowly added to the above reaction mixture. The solid was obtained, centrifuge and washed twice with water (2x 10mL). The crude product was dried at temperature up to 70°C, and intermediate B (11.8g) with a purity of 99% (HPLC area%) was obtained. Intermediate B (4g) obtained in Example 1 and 40% aqueous methylamine solution (1.6mL) were dissolved in 70% aqueous solution of 2-propanol (120mL) while heating in a closed reaction vessel above the reflux temperature (110-120°C) for two to five hours. The solution was hot filtered and cooled on an ice bath. The precipitated product was filtered and dried. The purity of the product was 99.9% (HPLC area%) and the particle distribution of the product was D(90) of about 144 microns. Intermediate B (12.3kg) obtained in Example 1A and 40% aqueous methylamine solution (4.76L) were dissolved in 70% aqueous solution of 2-propanol (402L) while heating in a closed reaction vessel above the reflux temperature (110-120°C) for three hours. The solution was hot filtered and cooled on an ice bath. The precipitated product was filtered and dried. The final product (9.8kg) with a purity of more than 99.99% (HPLC area%) and the particle distribution of the product was D(90) of about 155 microns was obtained. was heated up to 55°C for 3 – 6 hours. The suspension was cooled on an ice bath. The product was filtered and dried. The crude product (8.22g) with a purity of more than 99.9% (HPLC area%) was obtained and crystallized from hot DMSO solution. The product Is crystallized with addition of water. Tadalafil (700g) (99% purity) was suspended in 70% aqueous solution of 2-propanol (24.6L) and suspension was heated to about 110°C in an autoclave at pressure of 0.31MPa until the material was dissolved. The obtained solution was then hot filtrated and cooled to about 10°C. The isolated tadalafil (660g) has a purity of 99.95% (HPLC area%) and the particle distribution D(90) of about 144 microns. Tadalafil (5g) (99% purity) was suspended in 70% aqueous solution of acetone (lOOmL) and suspension was heated to about 90°C in an autoclave at pressure of 0.28MPa until the material was dissolved. The obtained solution was then hot filtrated and cooled to about 10°C. The isolated tadalafil (4.44g) has a purity of 99.99% (HPLC area%). Tadalafil (4g) (99% purity) was suspended in 70% aqueous solution of acetonitrile (lOOmL) and suspension was heated to about 85°C in an autoclave at pressure of 0.2MPa until the material was dissolved. The obtained solution was then hot filtrated and cooled to about 10°C. The isolated tadalafil (3g) has a purity of 99.99% (HPLC area%). Tadalafil (5g) (99% purity) was suspended in 70% aqueous solution of tetrahydrofuran (60mL) and suspension was heated to about 120″C in an autoclave at pressure of 0.3MPa until the material was dissolved. The obtained solution was then hot filtrated and cooled to about 10°C. The isolated tadalafil has a purity of 99.99% (HPLC area%). Tadalafil (lg) (99% purity) was suspended in 2-propanol (200mL) and suspension was heated up to reflux temperature until the material was dissolved. The obtained solution was then hot filtrated and cooled to about lO’C. The crystallized tadalafil was centrifuged and dried in an oven at temperature up to 70°C. Tadalafil (1 kg) and hydroxypropyl methylcellulose phthalate (1 kg) were dissolved in mixture of acetone (20L) and water (3 L) at 54°C and under pressure O.lMPa. Solution was hot filtered and added to water (42 L) at 2°C. Suspension was heated up to reflux and acetone was distilled off. Tadalafil co-precipitate was collected by pressure filtration and dried in vacuum dryer. Dry material was milled by a pin mill. HPLC assay of tadalafil was 53.5%. Tadalafil (1 kg) and hydroxypropyl methylcellulose phthalate (1 kg) were dissolved in mixture of acetone (20 L) and water (3 L) at 54°C and under pressure O.lMPa. Solution was hot filtered and added to water (42 L) at 2°C. Suspension was heated up to reflux and acetone was distilled off. Tadalafil co-precipitate was collected by centrifuge and dried in a fluid bed dryer. Dry material was milled by a pin mill. HPLC assay of tadalafil was 52.5 %. Tadalafil (2 g) and hydroxypropyl methylcellulose phthaiate HP 50 (2 g) were dissolved in a mixture of acetone (48.5mL) and water (5.5mL) at reflux temperature. To obtained solution crospovidone (lg) was added. Obtained suspension was co-precipitated in water (83mL) at 2°C. Obtained material was collected with a vacuum filter and dried in vacuum dryer up to 90°C. HPLC assay of tadalafil 39.9%. Yield was 90%. Tadalafil (2 g) and hydroxypropyl methylcellulose phthaiate HP 50 (2 g) were dissolved in a mixture of acetone (54mL) and methanol (19mL) at reflux temperature. To obtained solution crospovidone (lg) was added. Obtained suspension was co-precipitated in heptane (83mL) at 0°C. Obtained material was collected with a vacuum filter and dried in vacuum dryer up to 50°C. HPLC assay of tadalafil was 36.1 %. Yield was 90%. Tadalafil (2 g) and hydroxypropyl methylcellulose phthaiate HP 50 (2 g) were dissolved in a mixture of aceton (54mL) and methanol (19mL) at reflux temperature. Obtained solution was co-precipitated in heptane (83mL) at 0°C. Obtained material was collected with a vacuum filter and dried in vacuum dryer up to 50°C. HPLC assay of tadalafil was 36.1 %. Yield was 90%. Tadalafil (3g) and Klucel ELF (3g) was dissolved in a mixture of acetone (73mL) and water (8mL) at 50°C. Solution was hot filtered and added to 125mL water at 90°C. After that acetone was distilled off at 65°C and suspension was stirred for additional hour. Precipitated material was filtered using preheated filter funnel and dried at 80°C. Yield 3.8 g, HPLC assay was 50.0%. Tadaiafil (3g) and Klucel ELF (3g) was dissolved in a mixture of acetone (73mL) and water (8m L) at 50°C. Solution was hot filtered and added to 125m L water at 90°C with dissolved lactose (14g) at 90°C. After that acetone was distilled off at 65°C and suspension was stirred for additional hour. Precipitated material was filtered using preheated filter funnel and dried at 80°C. Yield 5 g, HPLC assay was 48.8%. Tadalafil co-precipitate with HPMCP HP-50 was homogeneously mixed with mannitol, croscarmellose sodium and sodium lauryl sulphate. The magnesium stearate was added and mixed. The resultant blend was compressed into tablets. Dissolution profile of the example is shown in Figure 1. Tadalafil co-precipitate with HPC was homogeneously mixed with mannitol, croscarmellose sodium and sodium lauryl sulphate. The magnesium stearate was added and mixed. The resultant blend was compressed into tablets. Dissolution profile of the example is shown in Figure 1. Tadaiafil co-precipitate with HPMCP was homogeneously mixed with spray-dried lactose, starch 1500 and sodium lauryi sulphate. The magnesium stearate was added and mixed. The resultant blend was compressed into tablets. Tadalafil co-precipitate with HPMCP was homogeneously mixed with calcium phosphate, croscarmellose sodium and sodium lauryi sulphate. The magnesium stearate was added and mixed. The resultant blend was compressed into tablets. Tadalafil co-precipitate with HPMCP HP-50 was homogeneously mixed with mannitol, microcrystalline cellulose, croscarmellose sodium and sodium lauryl sulphate. The magnesium stearate was added and mixed. The resultant blend was compressed into tablets. Dissolution profile of the example is shown in Figure 1. Tadalafil co-precipitate with HPMCP HP-50 was homogeneously mixed with lactose anhydrous, microcrystalline cellulose, croscarmellose sodium and sodium lauryl sulphate. The magnesium stearate was added and mixed. The resultant blend was compressed into tablets. Dissolution profile of the example is shown in Figure 1. Tadalafil co-precipitate with HPMCP HP-50 was homogeneously mixed with lactose monohydrate, spray dried lactose, microcrystalline cellulose, croscarmeilose sodium and sodium lauryl sulphate. The magnesium stearate was added and mixed. The resultant blend was compressed into tablets. Dissolution profile of the example is shown in Figure 1. Tadalafil co-precipitate with HPMCP HP-50 was homogeneously mixed with calcium phosphate, microcrystalline cellulose, croscarmellose sodium and sodium lauryl sulphate. The magnesium stearate was added and mixed. The resultant blend was compressed into tablets. Dissolution profile of the example is shown in Figure 1. Tadalafil co-precipitate with HPMCP HP-50 was homogeneously mixed with microcrystalline cellulose, croscarmellose sodium and sodium lauryl sulphate. The magnesium stearate was added and mixed. The resultant blend was compressed into tablets. Dissolution profile of the example is shown in Figure 1. Tadalafil co-precipitate with HPMCP HP-50 was homogeneously mixed with microcrystalline cellulose, cellactose, croscarmellose sodium and sodium lauryl sulphate. The magnesium stearate was added and mixed. The resultant blend was compressed into tablets. Dissolution profile of the example F10 is shown in Figure 2, together with dissolution profiles of the same sample, taken after two months at 22°C and 60% RH. In comparison, dissolution profile of composition according to invention is unaffected by storage at 40°C/75% for one month (Figure 2). By DR ANTHONY MELVIN CRASTO Ph.D in PATENT, PATENTS on February 4, 2016 .